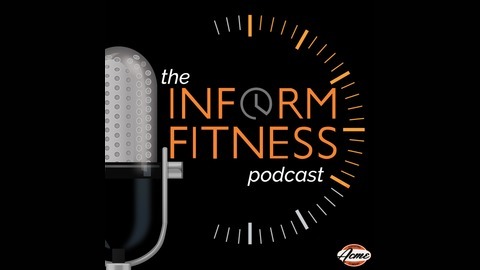 The InForm Fitness Podcast with Adam Zickerman and co-Host Mike Rogers is a presentation of InForm Fitness Studios, specializing in safe, efficient, High Intensity strength training. 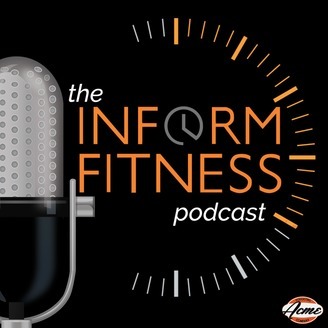 On our bi-monthly podcast, Adam and Mike discuss the latest findings in the areas of exercise, nutrition and recovery with leading experts and scientists. We aim to debunk the popular misconceptions and urban myths that are so prevalent in the fields of health and fitness and to replace those sacred cows with scientific-based, up-to-the-minute information on a variety of subjects. The topics covered include exercise protocols and techniques, nutrition, sleep, recovery, the role of genetics in the response to exercise, and much more. Gary Taubes’ groundbreaking book “Good Calories, Bad Calories,” is stimulating and challenging , yet requires substantial time and attention to fully grasp. Hence, in 2010 Mr. Taubes wrote national bestseller, “Why We Get Fat” highlighting the key points of his first book and making it accessible to everyone. In this episode, Adam and Mike and guest host, InForm Fitness instructor, Neil Holland, interview Taubes to reveal his simple message: The widespread theory of caloric intake exceeding expenditure leading to obesity is flawed, and instead, our focus needs to be on the amount of carbohydrates consumed. Adam asks the million-dollar question, “Can we live without carbohydrates?” and relative to that, Taubes’ verdict on fruit. Unparalleled in his impact on the field of nutrition and physiology, Taubes’ accolades are too many to list, including degrees from Harvard, Stanford and Columbia. Many fans of his work, including “The Case Against Sugar,” will appreciate how the information presented herein is sound and entertaining, with the unexpected bonus being a sneak-peak into Taubes’ upcoming book!